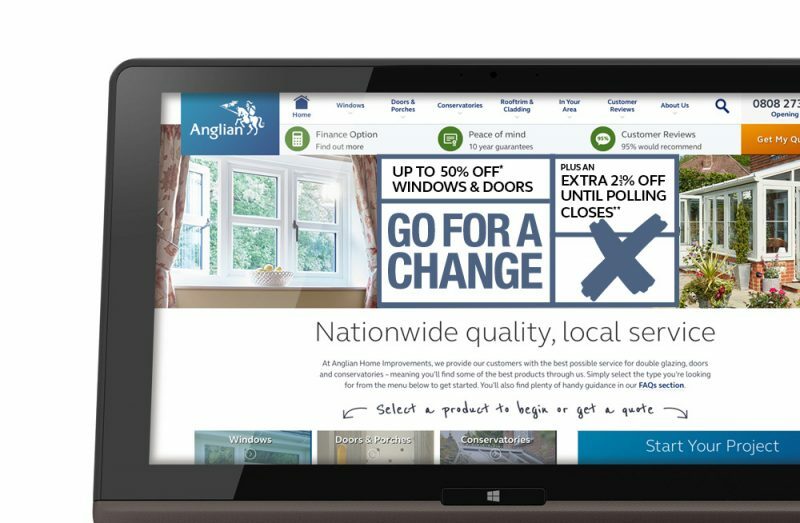 The recent snap election in the UK triggered a snap decision by our client Anglian Home Improvements to run a quick-fire incentive to boost window and door sales on the run up to polling day. There was no planning manifesto, just a simple ‘we’re offering a short-term extra discount, so let’s see how we can make it happen’. 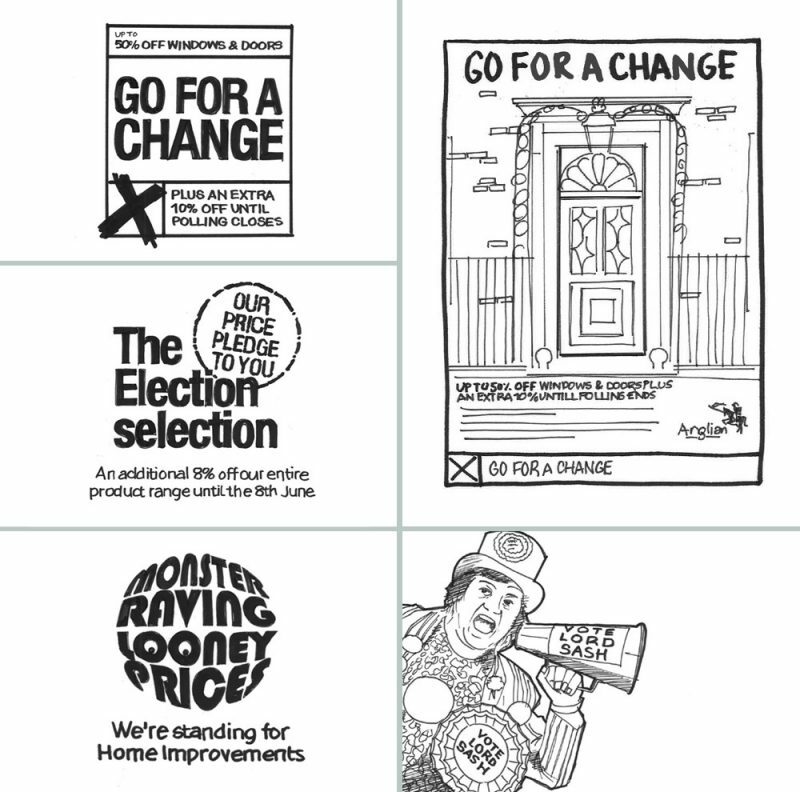 Whipped into action, the creative team quickly responded with three pragmatic solutions, each viable in their own way; ‘Go For A Change’, ‘The Election Selection’ and ‘Monster Raving Looney Prices’. ‘Go For A Change’ got the majority decision and we had a bit of fun with it, creating some interesting radio treatments and press treatments during the process. Consequently the idea ran as an exclusively online campaign for a short 10 day burst up to polling day on June 8th. This is a great example of our speed and tactical flexibility when a client needs to spike response or make sudden additions to the existing promotional plan; pen-on-paper to go-live was three days. Whilst the country ended up with a hung parliament – a pretty indecisive outcome – Anglian hung a few extra windows and doors around the country as a result of this exercise, extending their popular vote in the home improvement sector.